The Hercules star cluster is one of the telescopic gems of the night sky. It is located in the constellation Hercules. Even in relatively small telescopes, the cluster’s appearance in the eyepiece is that of a globe of diamonds on black velvet. 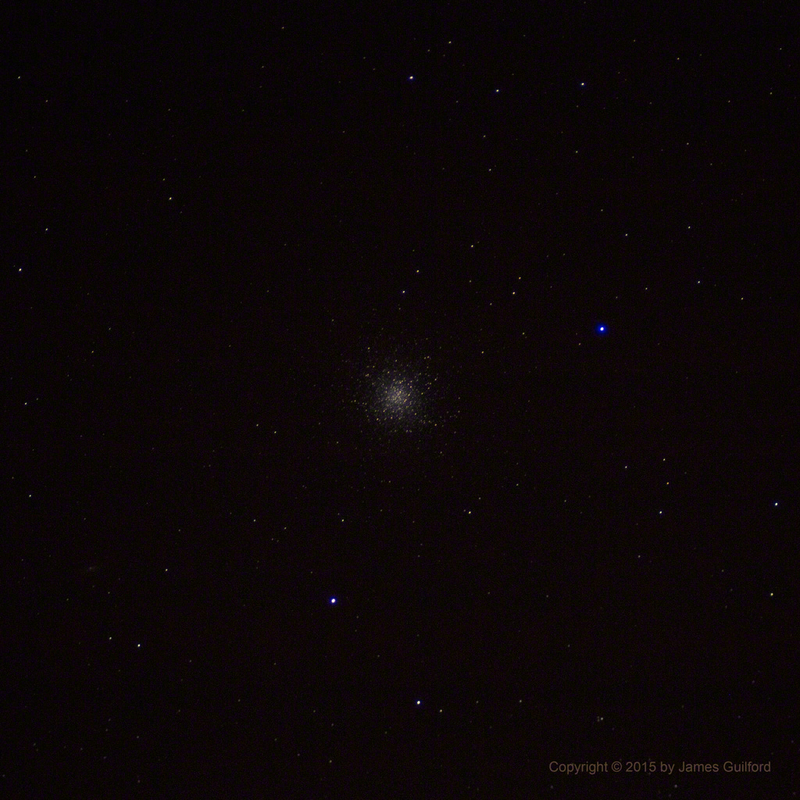 The cluster was discovered by Edmond Halley (of comet fame) in 1714, and is also known as M13, as cataloged by Charles Messier in 1764. 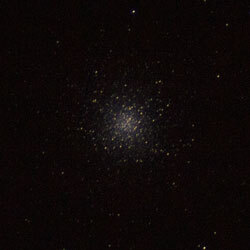 M13 is a globular cluster, so designated because of its spherical or globe shape, and is composed of about 300,000 stars, 25,100 light-years from Earth. The stars in a globular cluster are of about the same age, having formed together from the same molecular cloud. The photograph shown here illustrates M13 as it may appear to the eye through the eyepiece of a small telescope — click on the image to enlarge. While larger telescopes and sophisticated imaging techniques reveal still greater detail and beauty in the Hercules Globular Cluster, it remains impressive without those enhancements. Weak solar cycle? Not this week! Our Sun is just past the peak of its 11-year activity cycle but has been unusually quiet of late. Many days we have seen few, if any, sunspots marking the star’s face. 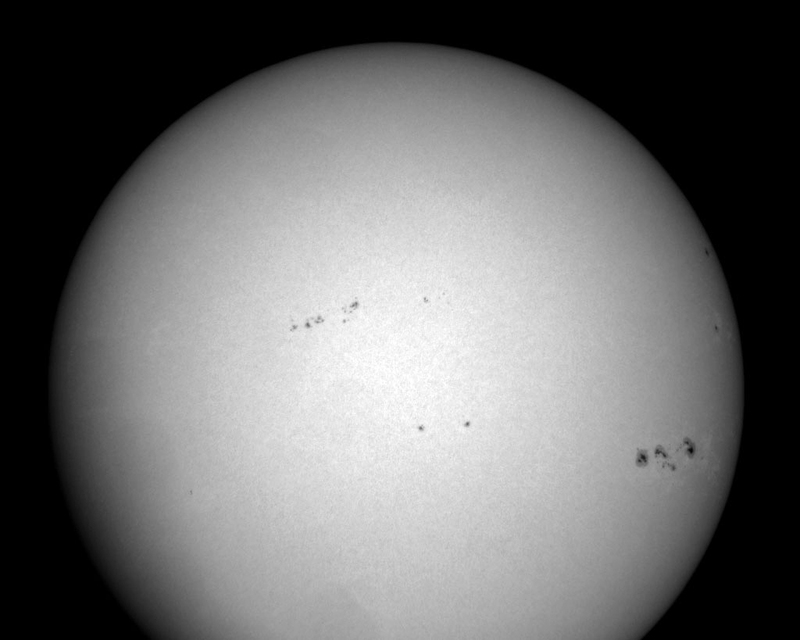 Over the past few days, however, there has been an uptick in activity including the passage of large sunspot region AR2339 (lower-right in our photo). The sunspot has been the source of major solar flares including one that interfered with radio communications in the Pacific region. 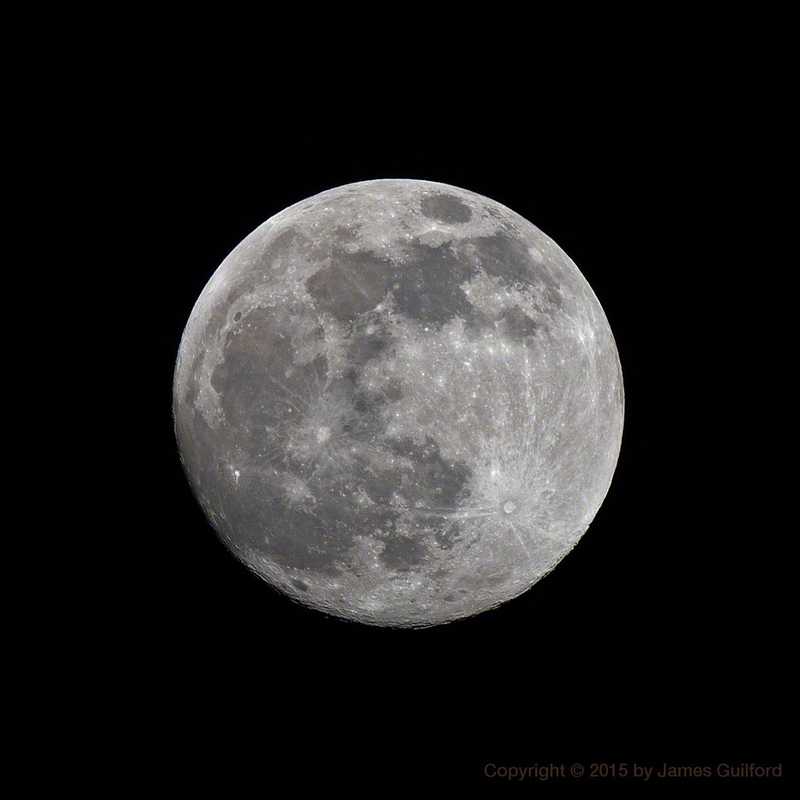 This image is a single exposure made using a digital SLR camera held to the eyepiece of the Cooley Telescope at Stephens Memorial Observatory. A white-light filter was used for the protection of equipment and vision. A good article on the current solar cycle can be found here. UPDATE: Due to severe and inclement weather the scheduled May 30 Open Night has been canceled. Severe thunderstorms were reported in northern portions of Portage County along with strong winds and heavy rains. Radar was tracking other storms expected to reach the Hiram area. 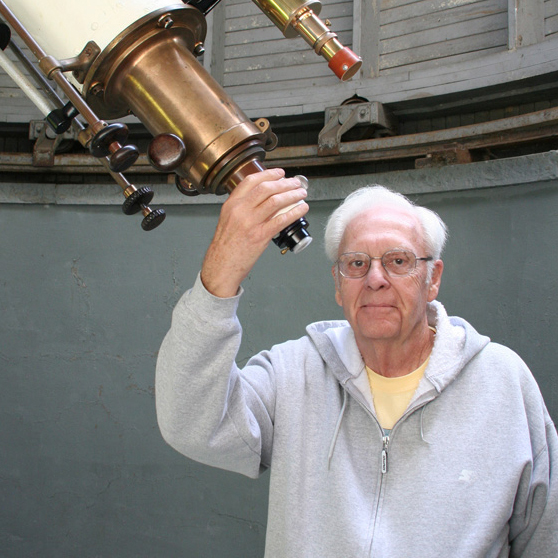 Stephens Memorial Observatory of Hiram College will be open to the public on Saturday, May 30, from 9:00 to 11:00 PM. On the observing list for the night are: the Moon, star cluster M13 in Hercules, and, later, the Ring Nebula. 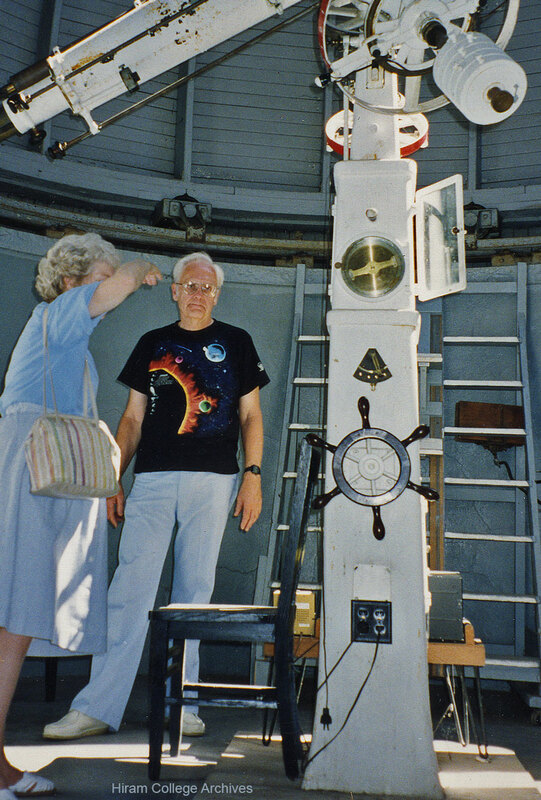 No reservations are required and there is no admission fee for observatory public nights. Cloudy skies at the starting time cancel the event and, in that case, the observatory will not open. The Observatory is located on Wakefield Road (Rt. 82) less than a quarter of a mile west of Route 700 in Hiram. There is no parking at the Observatory. Visitors may park on permissible side streets near the Post Office, a short distance east of the observatory. Watch for updates here and via Twitter @StephensAstro for the latest.